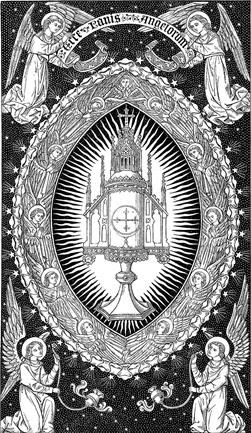 Sometimes you hear being said that we should use Advent to give birth to Christ in our hearts once again or once for all and other things like that. I must confess I have always struggled with this idea; I have often found it “a bit wet”, overly sentimental and actually unchristian. I rather stick to the interpretation of Advent as a time of spiritual preparation in order to celebrate one of the greatest mysteries of salvation. The first Advent and “first Noel” have happened, but moreover Christ has already been somehow welcomed in our lives otherwise we wouldn’t really be here (sharing at His Table). There is no need to give Him birth once again through some kind of tinsel-wrapped piety; rather there is a great need for both me and you to use Advent as a journey of rediscovery of how Jesus first came into our lives and to make sure we give Him a little more room every day. He came into the world through the Holy Spirit and the Blessed Virgin Mary, he comes in us, not at Christmas but at our Baptism. 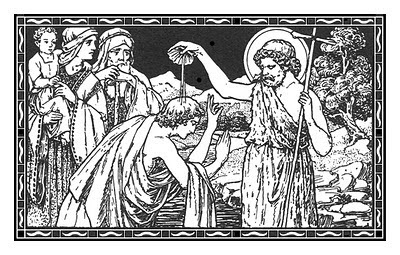 Today’s gospel reading presents us with two kinds of baptism; or rather, it presents us with the baptism of John and points us towards the Baptism later instituted by Christ. On one hand we have John’s baptism which is like the cleaning and tiding up a household before receiving a long awaited guest. An act that is not an end to itself; but that in fact is only the preparation in order to receive something much, much greater. Something however, that John can only prepare the road for, but not give. The first is a sign of repentance; it is the visible washing of the body that signifies the washing of the soul from any dirt. It encourages to live new lives bearing fruit worthy of repentance (Matthew 3:8). However, John’s baptism washes but does not regenerate; it makes us clean, but it relies on our own abilities to lead lives worthy of it (following the Law). The second baptism, gives new life through of the pouring out of the Holy Spirit. Christ’s Baptism, not only washes but also regenerates – that is, it restores in us the image of God once lost. It doesn’t necessarily rely on us to act as new people, it makes us new people. It is the Holy Spirit that makes us new and gives us new lives to be lived according to what St Paul’s calls Faith, Hope and Charity (cf. 1Cor 13:13); according to the theological virtues. The Holy Spirit, who conceived the Son of God in the womb of the Virgin, conceives new life in us and this new life is the very life of Jesus living in us. This is one of the greatest mysteries of our faith and it is also the gift which John couldn’t provide for his followers, but which God could and still provides for each of us. where once was uncertainty, He introduces Hope. 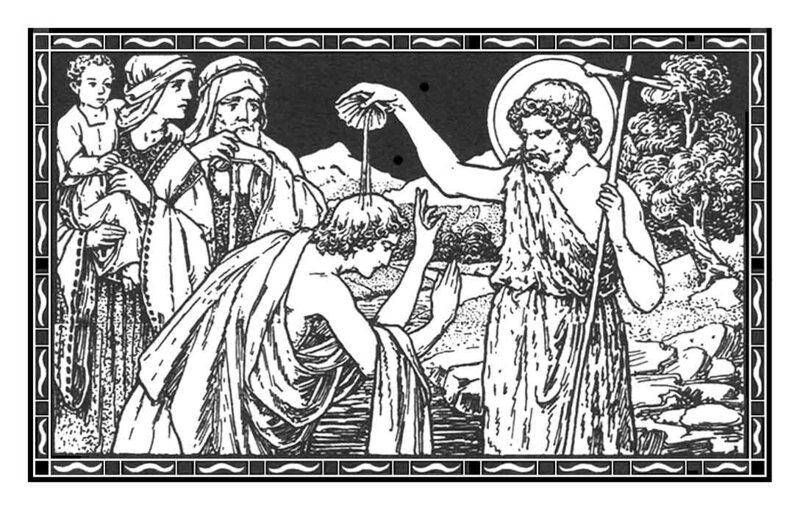 And so through Baptism we receive the seed of divine life within us; we receive the pattern of Christ’s life in us. In this sense, John can say: “The one who is more powerful than I is coming after me; [and] I am not worthy to stoop down and untie the thong of His sandals.” (Mark 1:7). In this season of Advent, both you and I may want to take some time to do some self-examination, have a sit-down before God, and think about the new life that Holy Spirit has conceived in us through Baptism; how we have responded – or failed to respond – to Him working in us. Let us use the next days to reclaim our Baptism from the fuss of daily affairs and to invite Jesus to come in ever more radically. 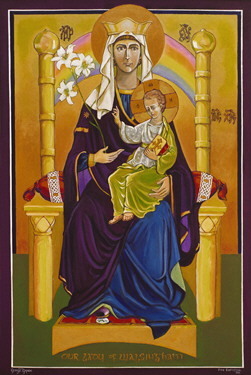 If we do this there will be no need to pretend another birth for Jesus this Christmas, but rather there will be more rejoicing in celebrating his coming to take possession of our lives until we will be able to say with St Paul, it is no longer I who live, but it is Christ who lives in me (Gal 2:20). In your spirit, for the glory of the Father. Amen.